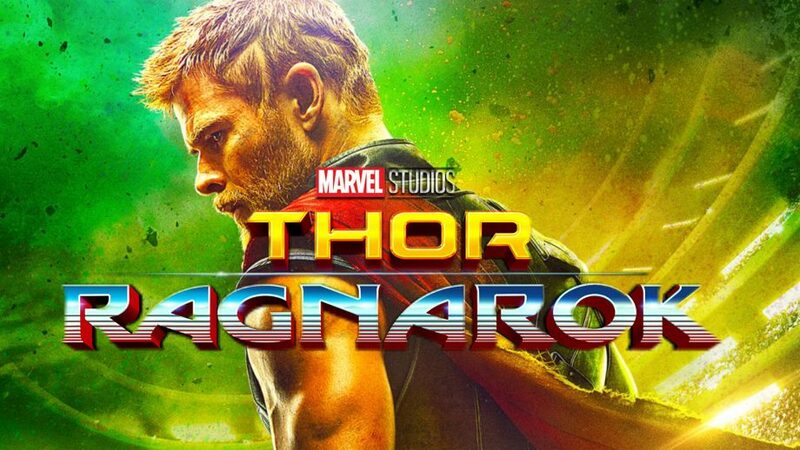 The third instalment of the Thor series was released last week and I got to see it on opening day. Click here to watch the trailer. 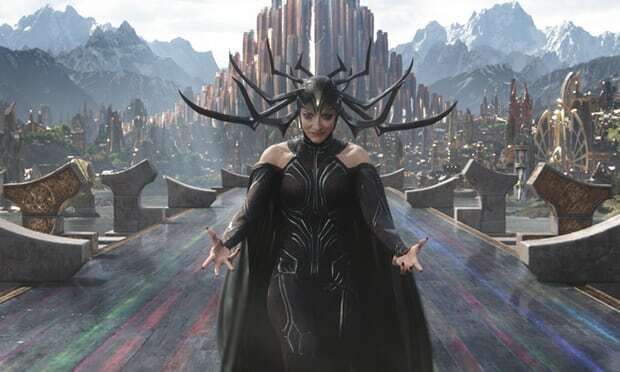 Thor: Ragnarok begins with Thor imprisoned by the fire demon Surtur, who reveals that his father is no longer on Asgard. It also develops that the realm will soon be destroyed in the prophesied Ragnarok. Unbelieving, he returns to Asgard to discover his brother has abandoned his father on Earth and the pair find him just in time to see him pass away. For the rest of the film, it's about working together to stop Ragnarok and discovering the truth behind Asgard and how it came to be. Of course, the big surprise is the secret sister who was banished. While there were and still are unanswered questions about the return of the kings long lost daughter, in a way, it made the story more realistic as the audience learnt as the characters learnt which was nice. Hela, their sister, looks surprisingly similar to Angelina Jolie’s Maleficent. With the smokey eye and black outfit, her crown finishes the look. It is discovered that she is the one who will unleash Ragnarok, aka “end of days”. 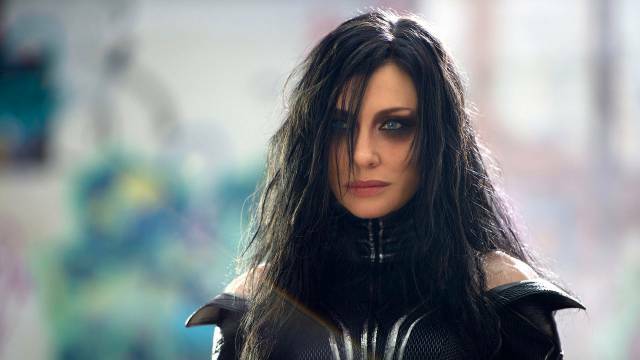 Even with all that's going on in Asgard, the majority of the film doesn't even take place there! 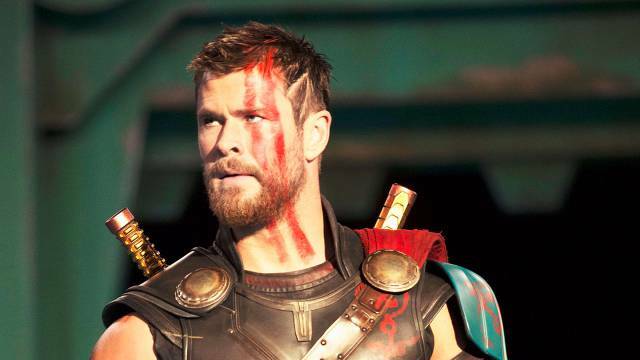 Instead, Thor has to fight to survive on Sakaar, when he is captured and sold by bounty hunter Valkyrie. 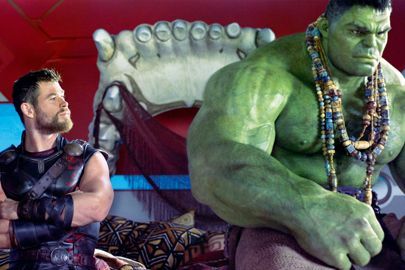 The relationship, somewhat develops into more chemistry as their history is discovered, but there he finds Hulk/Banner. 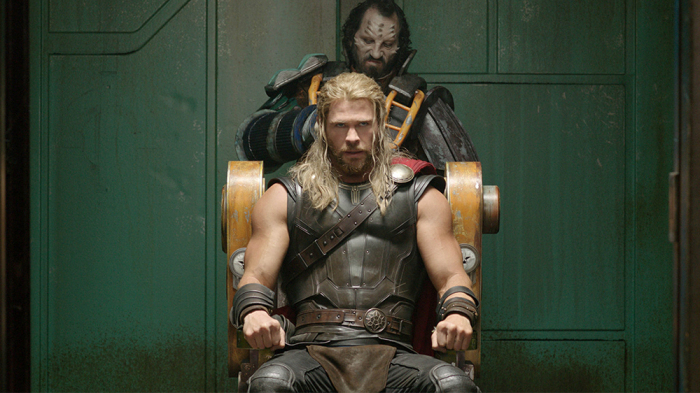 Unusually, Thor is without his hammer for the majority of the film. In fact, he looses a lot of himself throughout; from his hammer to his hair, he has to find self-confidence within himself instead of his tools. Without his strengths, he is beaten up, taunted, tasered, sold into endure slavery and fight gladiator-style to survive. I was left begging for more emotions. I think the passing of the 'king' should have been something bigger and more tortured but instead it was passed over very quickly. Similarly, there were many unanswered questions in relation to his death. The first film was almost a romance, the second was all about brother rivalry and this one almost seemed like a spoof. I really liked the story line but I found the endless bad dad jokes to be non-comical and utterly bizarre. It's defintely a colourful script but I'm not sure it added much to it. Of course the self-mocking humour and jokes adds energy but it's not quite the action we expect. Having said that, there were scenes where it was enjoyable. I loved the opening hell scene and the spinning around play. I really liked seeing how they linked it in with Dr Strange. Marvel are well known for showing a secret scene at the very end of their film credits. Usually it links to the next film to be released. In this case, I'd completely forgotten about the scene with Dr Strange so it was nice to see him settled into his new role. In all honesty, it was a non-necessary additional character but I thought it was a nice way to bridge the two storylines without wasting time searching. 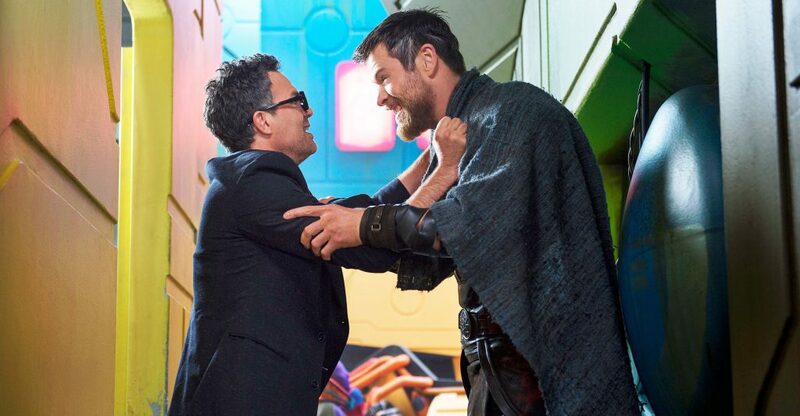 The friendship between Thor and Hulk/Banner is defintely a remarkable one. 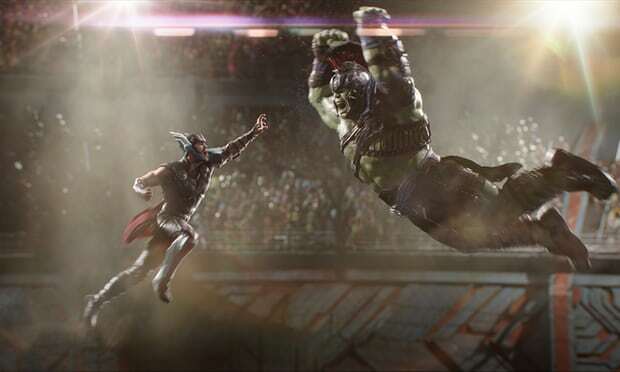 Despite, being lost in his Hulk figure, Thor tries to rescue Banner and won't hurt him. The two have a funny friendship but it's an interesting one to see as we get to learn more about Thor's character, which I feel has further developed since leaving him in the last film. Having said all that, despite the mocking humour, I really enjoyed the film. I think it was very fast paced and felt like it was almost 2 films in one. 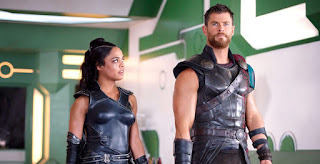 I loved seeing Thor's character develop and once again, I was rooting for a new love interest. With characters from the franchise entwined, it was nice to see the interaction and the different worlds collide. Have you seen it yet? If you haven't already, go!